For many casual endurance athletes, assessing performance and tracking metrics begins and ends with a training journal. Athletes diligently chart training mileage along with their performance on race day, using the limited data set to tweak their recipe and improve. While this approach can be effective for moderate gains, the science of training has much more to offer. By applying a little science and technology, athletes can fine-tune mechanics, manage a nutrition plan, and supercharge their training. At the heart of this is establishing metrics through testing. A basic understanding of three categories of testing and several tests within each can help athletes understand how exercise science can help them reach peak performance. Mechanics tests are designed to improve form and efficiency. Optimal form can be key in reducing the likelihood of injury while also increasing power and stamina. A few popular tests are below. This is a one hour assessment across a variety of weight bearing and stretching disciplines delivered by a certified coach. 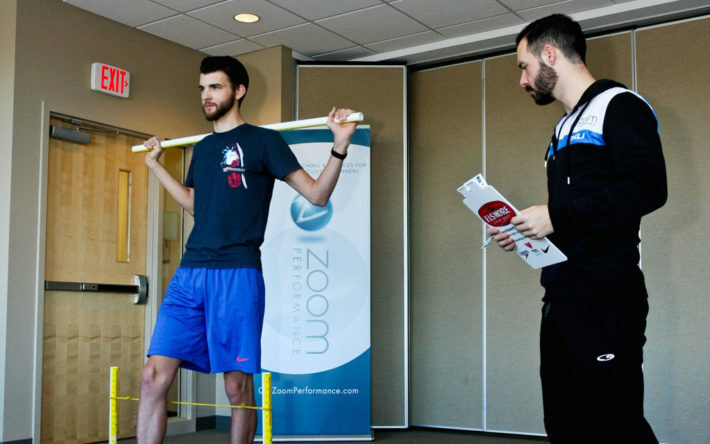 Athletes receive a functional strength and movement assessment, a consultation and a six-week program outlining how to improve. Joint mobility and strength are different in every athlete, an assessment of yours is key to adapting your training and style to reduce injuries and improve deficiencies. Test involves a short workout on a treadmill equipped with video to capture your running form. Frequently small changes can yield large results. An efficient pedal stroke means reduced effort, increased power and efficiency. Used to dial in the right mix of fuel to aid in training goals. This test defines your daily caloric burn baseline broken down by food type (carbs vs fat). In short, a map of how your body uses food. Armed with this information an optimal nutrition plan can be built based on your goals, adapted specifically to your body’s metabolism. This aligns the precise mix of food needed to fuel positive outcomes. Defining a clear picture of caloric burn in each training zone can help determine which level of effort is sustainable. This can help tailor workouts and define nutritional needs while training or competing. An objective measurement of the amount of power generated in every portion a race. This test delivers a better understanding of the various training zones used during exercise. Understanding these zones can aid optimal workout construction. Multiple tests can also be used to track improvements over time. Each of these assessments are administered by certified coaches at the state of the art Zoom Performance Center. To learn more about how these and other tools can help you reach your next level, set up a free consultation today.